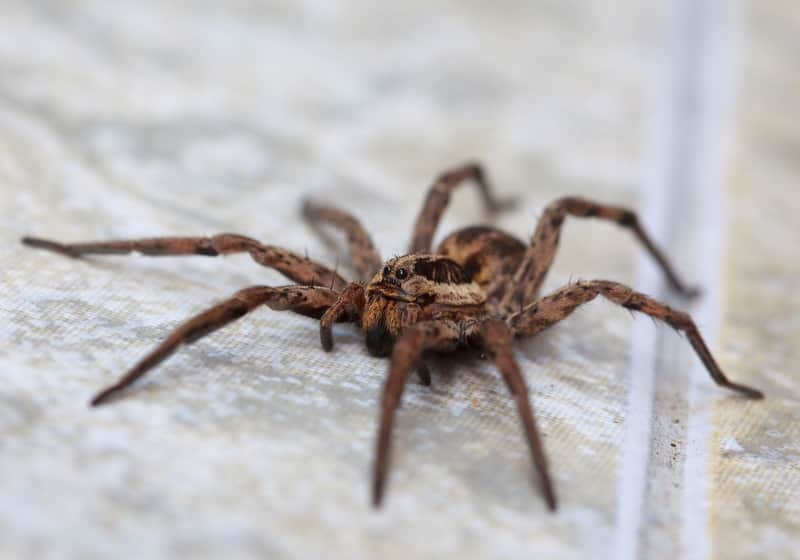 Arachnids are spiders , harvestmen , mites and ticks , and their relatives like scorpions that don't live in Michigan. All arachnids have eight legs, and unlike insects, they don't have antennae. The bodies of arachnids are divided into two sections, the cephalothorax in front and the abdomen behind. There are hundreds of thousands of species of arachnids. Arachnids are found in nearly all land habitats, and there are some in aquatic habitats as well. Click the links below to learn more about your specific spider. Check out our Insects & Arachnid section at Dewey Decimal number 592! Note: If you come across a helpful resource that is not listed on this research guide, be sure to let Ms. Rocchi know so that she can add it! Black widows are poisonous arachnids. Their deadly poison is said to be 15 times stronger than rattlesnake venom. Although poisonous, the black widow is not considered aggressive unless threatened. 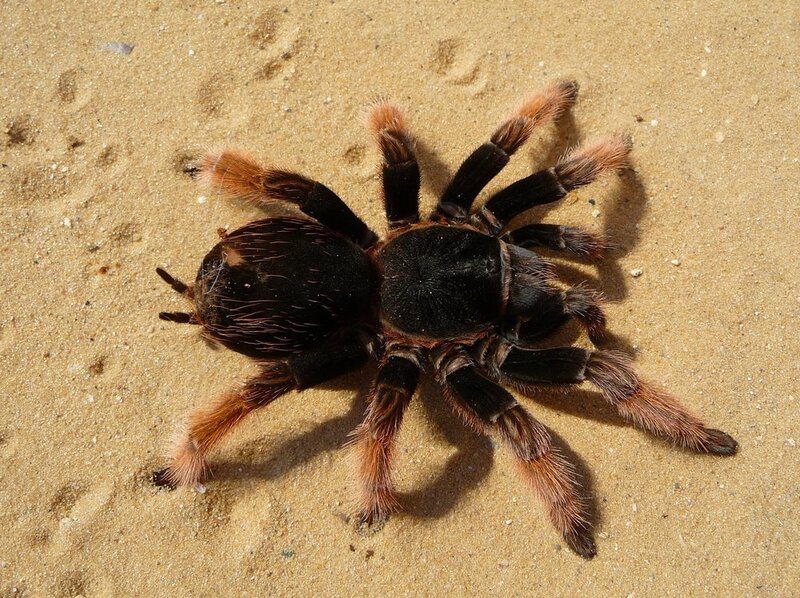 There are hundreds of tarantula species found in most of the world's tropical, subtropical, and desert regions. They vary in color and behavior according to their specific environments. his clever spider digs a tunnel and outfits it with a hinged trap door lined with silk. When the spider feels vibrations from an insect or other small invertebrate at the door, it jumps out and grabs its victim. When prey approaches, the spider will stretch the net to two or three times its relaxed size and propel itself onto the prey, entangling it in the web. Because of this, they are also called net-casting spiders. There are a number of theories of why this spider is called a crab spider. It is commonly said to refer to resemblance to crabs, or to the way such spiders hold their two front pairs of legs, or their ability to scuttle sideways or backwards. The Green Lynx Spider is a bright-green lynx spider usually found on green plants. It is the largest North American species in the family Oxyopidae. The Red Claw Scorpion is also know as the Tanzanian Red Claw. Although these scorpions are sometimes kept as pets, red claw scorpions can be easily agitated and become aggressive. This scorpions natural habitat is the humid forest floor of the African tropical rainforest. The Golden Wheel Spider is a huntsman spider native to the Namib Desert of Southern Africa. 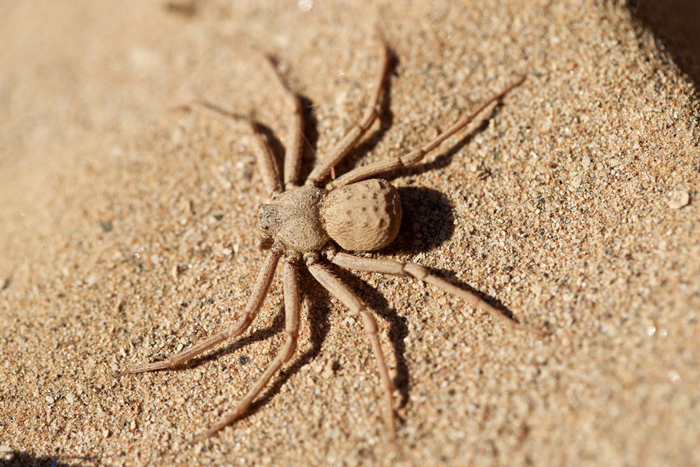 When escaping it's prey, this spider can flip onto its sider and cartwheel down sand dunes at speeds of up to 44 turns per second. Fishing spiders are semiaquatic, meaning they live partly on land and partly in the water. Fishing spiders hunt by the edge of a stream and when they detect the ripples from prey, they run across the surface to restrain it using their front legs and then inject venom with their jaws. Brown recluse spiders build irregular webs.. They build their webs in woodpiles and sheds, closets, garages, and other places that are dry and generally undisturbed. 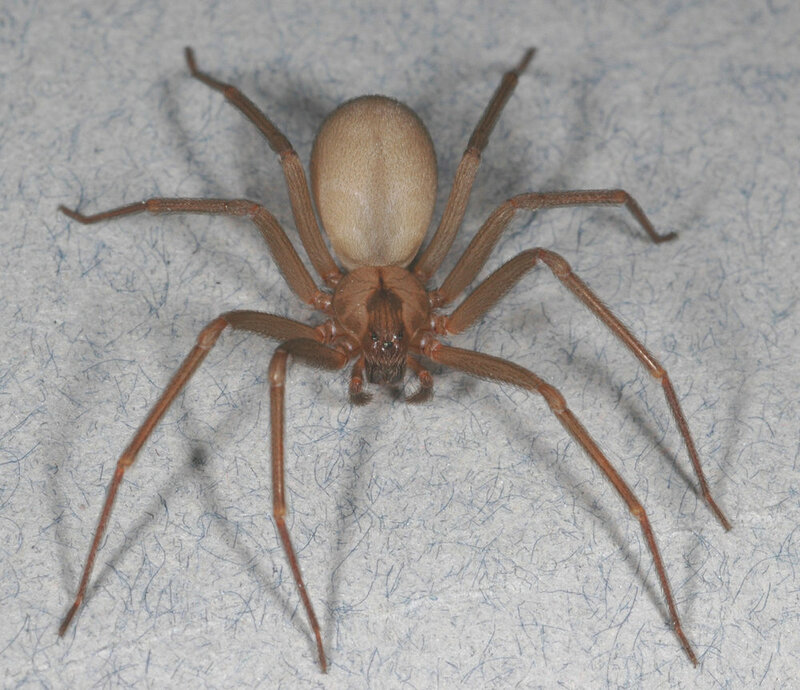 The brown recluse is one of three spiders in North America whose bite requires medical attention. 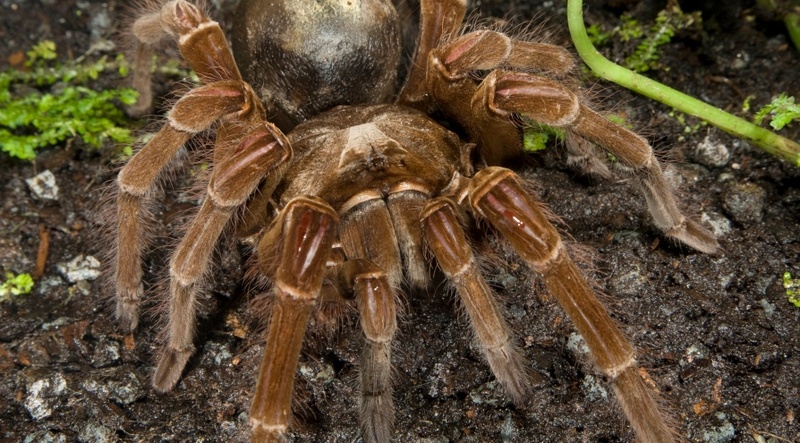 Goliath Bird Eating Spiders are found in Northern South America, it is the largest spider in the world by mass and size, but it is second to the giant huntsman spider by leg-span. This spider gets its name from an engraving from the 18th century showing the spider eating a hummingbird, however, this spider rarely preys on birds. The red widow spider has a reddish-orange head, thorax and legs with a black abdomen. The top of the abdomen usually has a row of red spots with yellow borders. This spider lacks a complete hourglass on the underside of the abdomen and instead usually has one or two small red marks. Deer ticks live throughout the central and eastern United States, wherever their favorite hosts, deer and rodents, are present. These arachnids are defined more by the disease it spreads than by its own characteristics. The Flic Flac is a species of huntsman spider indigenous to Morocco. It inhabits the sand dunes of the Erg Chebbi desert where if provoked or threatened it can escape by doubling its normal walking speed using forward or backward flips similar to acrobatic flic-flac movements used by gymnasts. The Chinese bird spiders are venomous spiders capable of delivering a rather dangerous bite. Chinese bird spiders are tarantulas, just like the Goliath bird eating spider is a tarantula. Chinese bird spiders are widely distributed in Asia and are abundant in Southern China. The yellow sac spider is a small spider with a body length of about ¼ inch for both males and females. It has a pale beige to yellow color and is often has a tinge of green. These spiders usually feed on other spiders, plus agricultural and garden pest insects and their eggs. However, if food sources are limited these spiders become cannibalistic and may consume their own eggs. The ladybug mimic spider (Paraplectana coccinella) mimics the ladybug in what is called Batesian mimicry. This means mimicking a toxic animal without actually being toxic. The Castor Bean Tick may reach a length of 0.43 in when engorged with a blood meal, and can transmit both bacterial and viral pathogens such as the causative agents of Lyme disease and tick-borne encephalitis. The funnel web spider gets its name from the silk-lined burrow that it constructs. The silk-lined burrow is constructed beneath some type of object such as a rock or log. Most burrows have two entrances which are also lined with silk in a general funnel shape, with numerous thicker lines anchored to adjacent rocks, roots, etc. These threads may also act as trip-lines, which alert the spider when prey is near. The Indian red scorpion (Hottentotta tumulus) t is quite common in India, Pakistan and Nepal. This scorpion earned itself the Indian red scorpion moniker due to its often orange-red body. Jewel spiders member of the the orb-weavers family . They are relatively small spiders, reaching a maximum total body length of only 0.47 in)for females, and 0.20 in for males. Their abdomen has six distinctive projections ("spines") that makes them easy to identify. 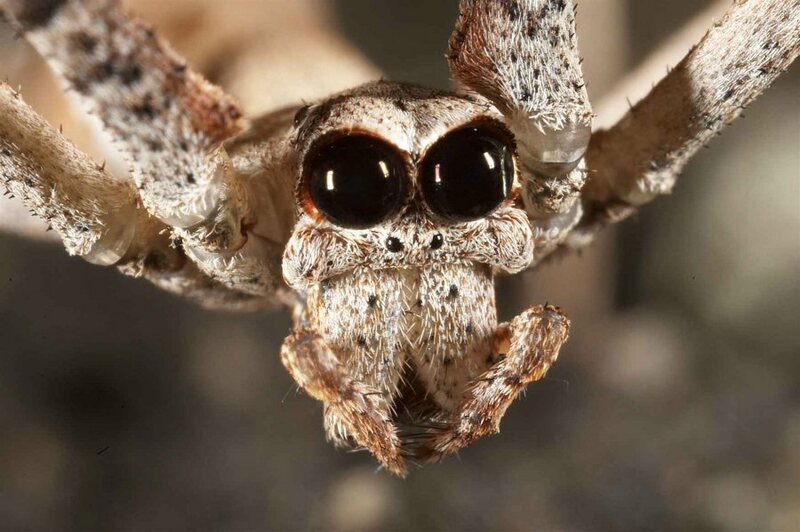 These spiders, called mirror or sequined spiders, are all members of several different species of the Thwaitesia genus, which features spiders with reflective silvery patches on their abdomen. The scales look like solid pieces of mirror glued to the spider’s back, but they can actually change size depending on how threatened the spider feels. Spiny orb-weavers is a common name for Gasteracantha, a genus of spiders. They are also commonly called spiny-backed orb-weavers, due to the prominent spines on their abdomen. The diving bell spider or water spider is one of the few species of spider known to live almost entirely under water. It is the only member of the genus Argyroneta. The spiders are named for their sub-aqua webs which they fill with air in order to breathe underwater. The redback spider (Latrodectus hasseltii) is a species of highly venomous spider believed to originate in the South Australian or adjacent Western Australian deserts, but now found throughout Australia, Southeast Asia and New Zealand, with colonies elsewhere outside Australia. It is a member of the cosmopolitan genus Latrodectus, the widow spiders. The bird dung spider derives its name from mimicking bird droppings to avoid predators, mainly birds. The distinguishing feature of this species is the partial constriction of the cephalothorax and/or the abdomen into two segments to produce an ant-like body shape. Peacock spiders are a genus of colourful arachnids, native to Australia, often found in coastal areas, but they also exist inland.The scientific name of the peacock spider genus is Maratus and it is from the family Salticidae, the family of jumping spiders. 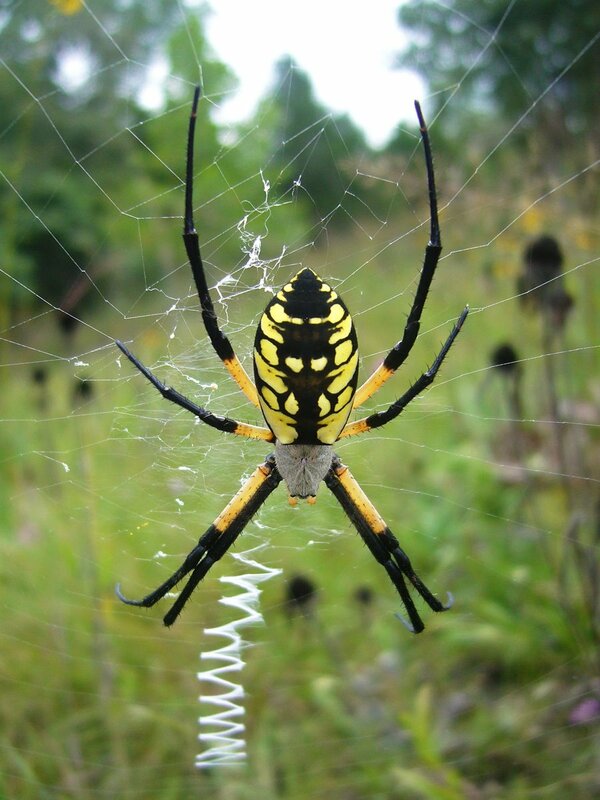 The spider species Argiope aurantia is commonly known as the yellow garden spider, black and yellow garden spider, golden garden spider, writing spider, corn spider, or McKinley spider.